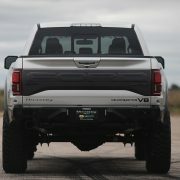 As already mentioned in other recent articles, the 2018 SEMA Show was especially created for tuning firms that wanted to show off with their new builds. 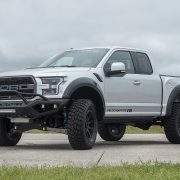 Of course, car manufacturers were also present to display their new models or built in partnership with aftermarket companies. 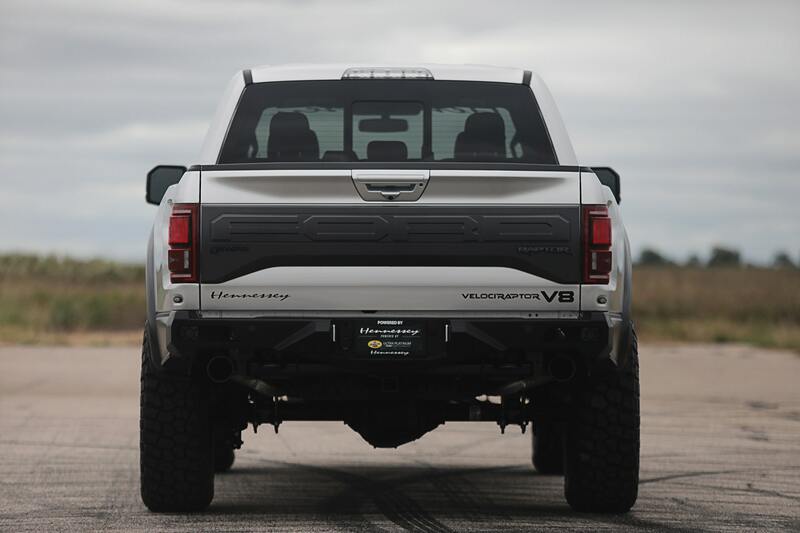 Hennessey from the United States is one of the most skilled when it comes to muscle cars customizations. 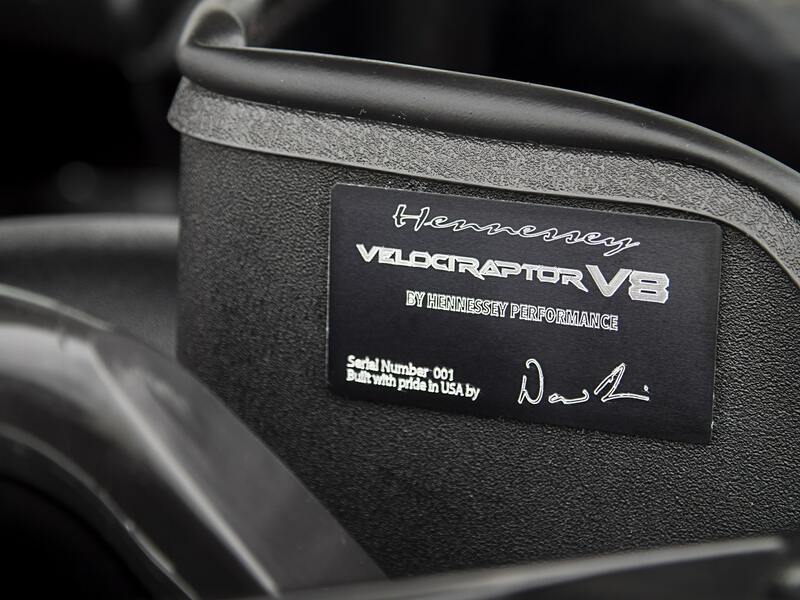 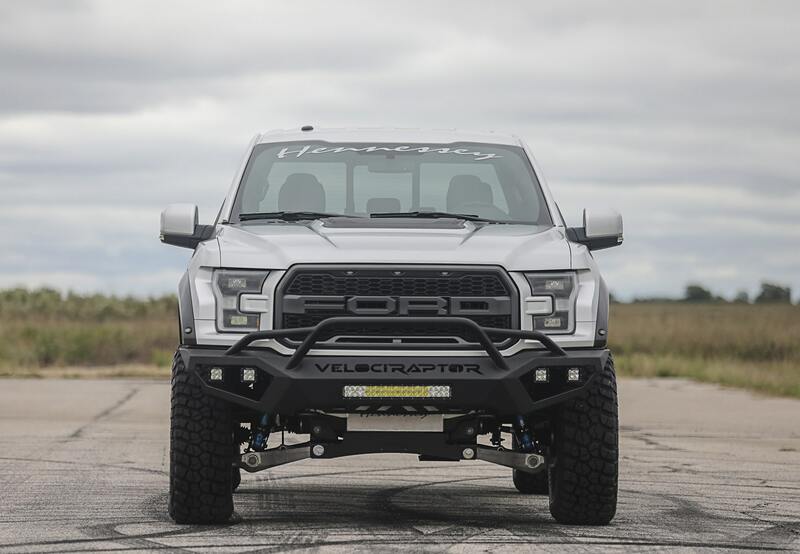 Also arriving at the 2018 SEMA Show, the company astonished every one with a custom-build Ford VelociRaptor, which is a top predator amongst American utes. 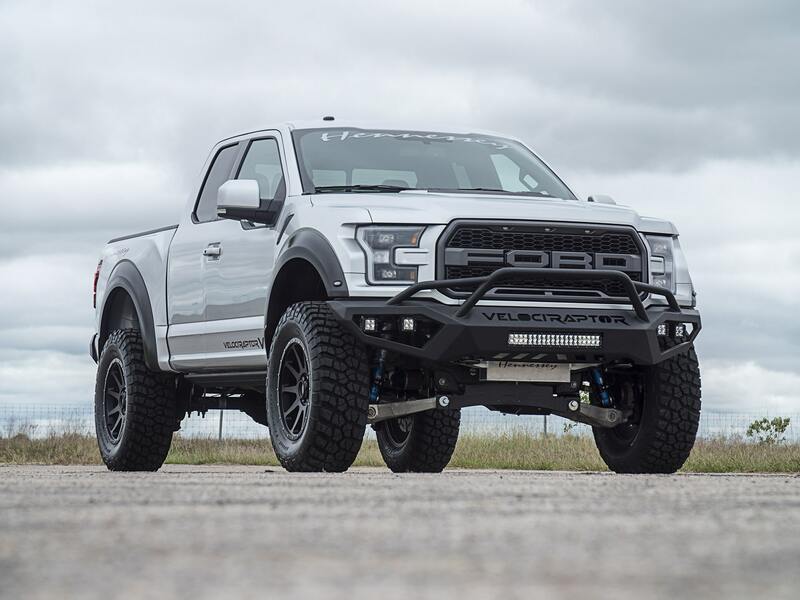 As for price tag, this impressive build costs at least 147,950 pounds. 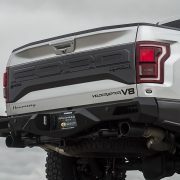 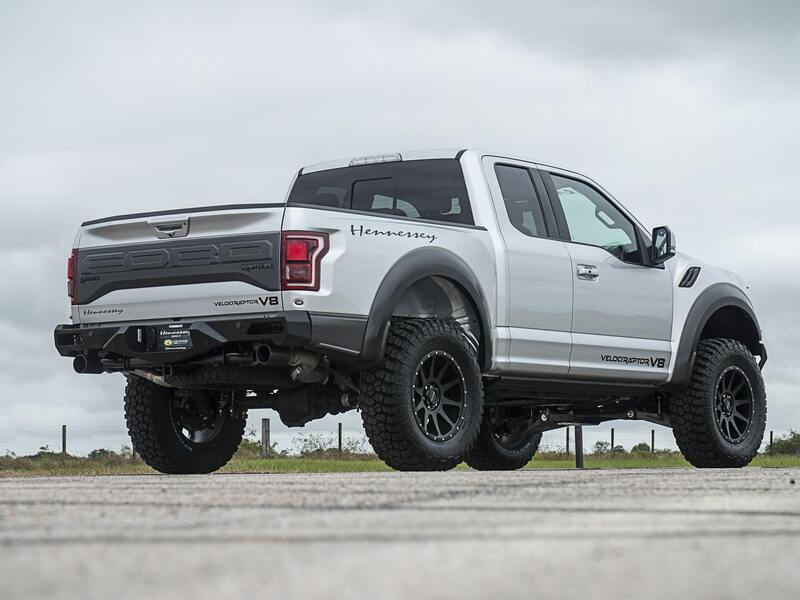 However, only 100 cars will be built year, including the Ford Raptor F150 by Hennessey. 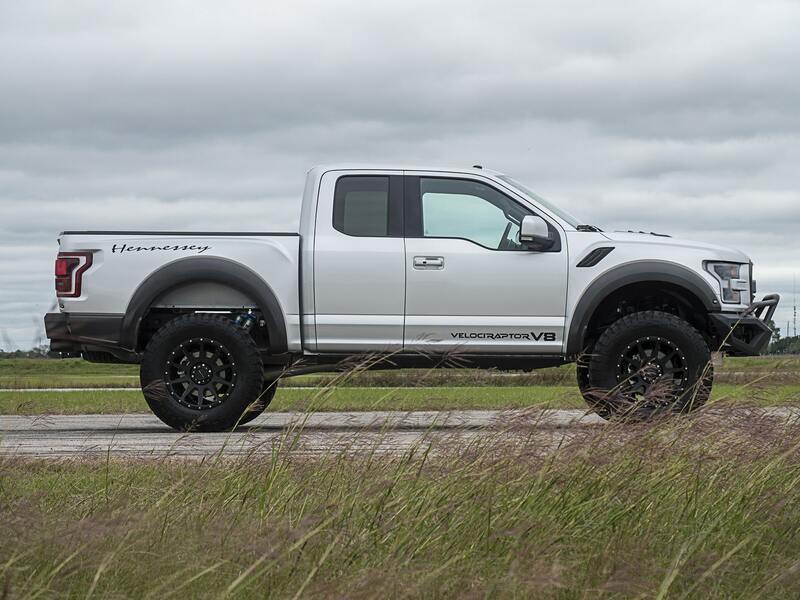 Each one will get a 3 year or a 36,000 mile warranty. 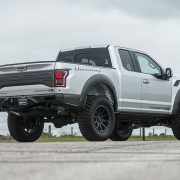 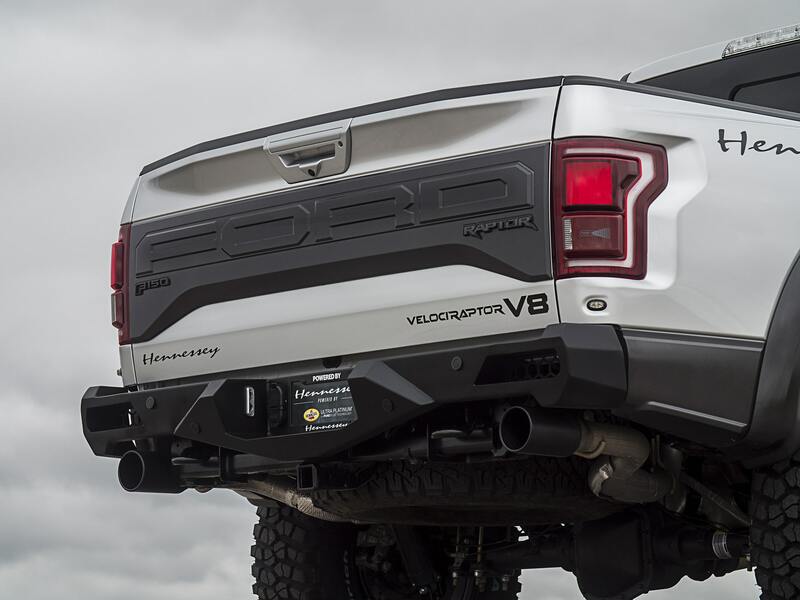 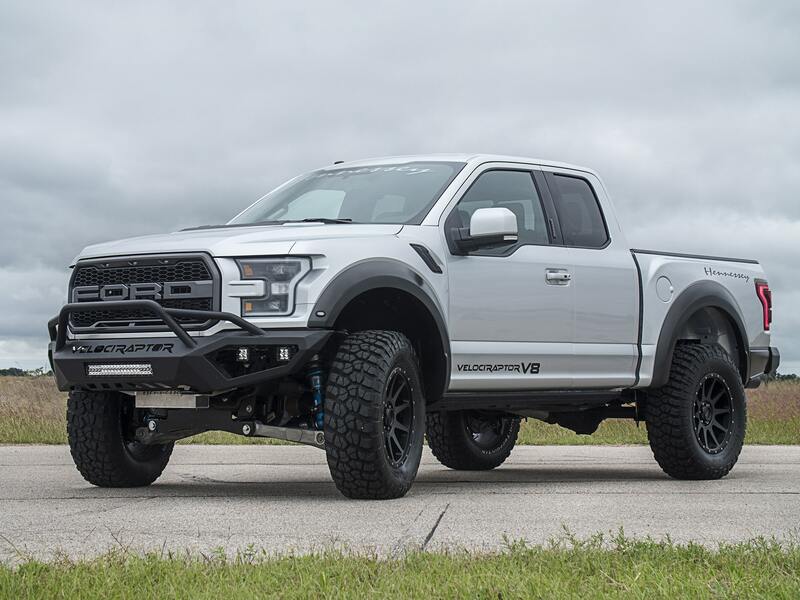 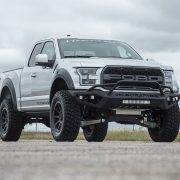 Already imposing and quite scary, with plenty of power under the hood and designed to take on the most difficult terrains, the Ford VelociRaptor in the MY2019 has received a monster power under the hood and a couple of new mechanical enhancements. 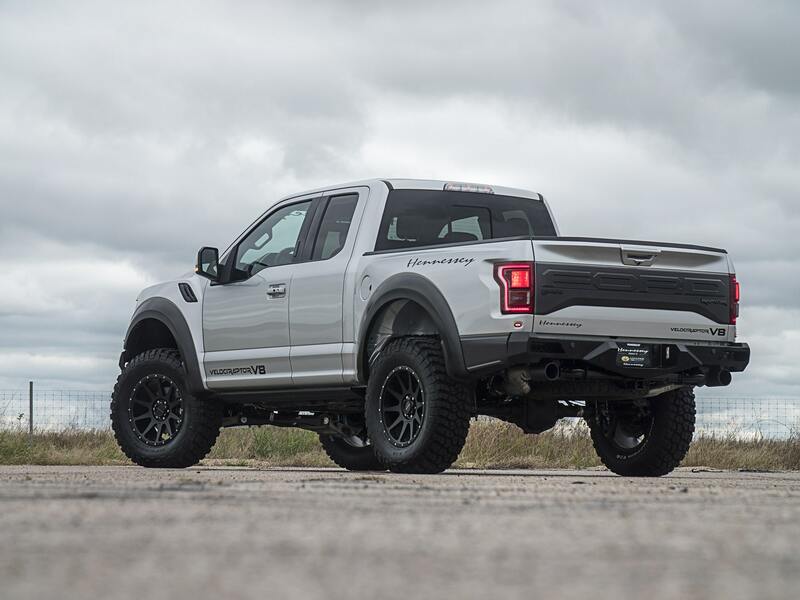 Visually, the new monster ute has been fitted with Hennessey`s in-house built VelociRaptor front and rear bumpers, adding as well LED front lights for better viewing during foggy nights and Stage 2 off-road suspension with six-inch lift to cope with heavy lifting. 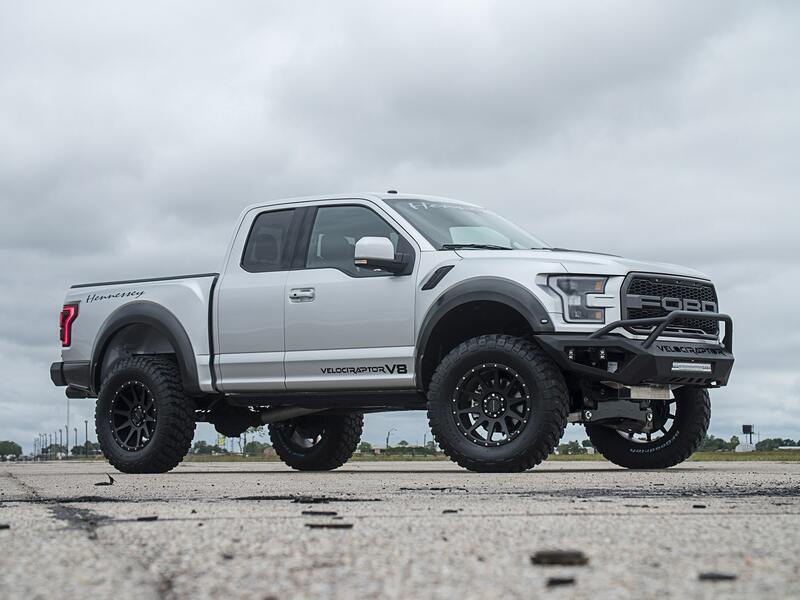 The wheels measure 20 inches and come wrapped in huge 37-inch BF Goodrich KM03 off-road tires. 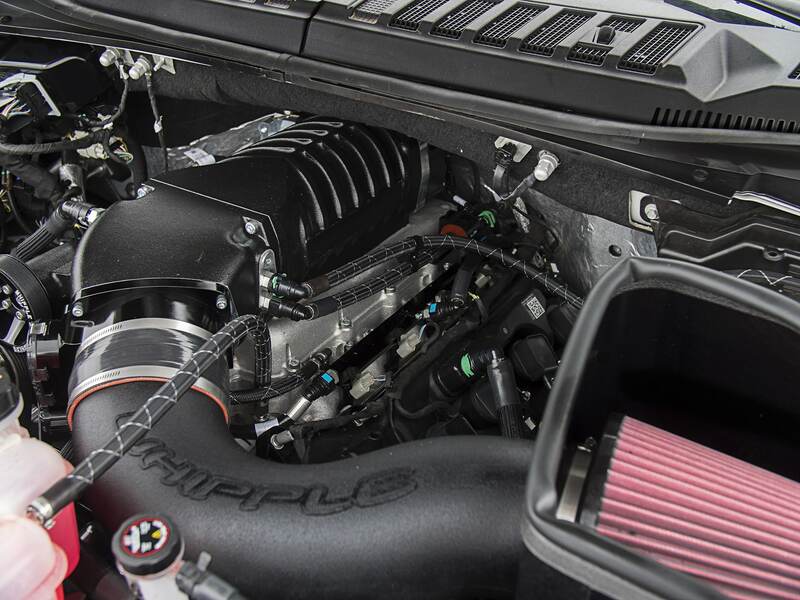 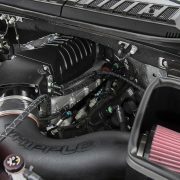 As for the power upgrade under the hood, the technicians from Hennessey have fitted the massive 5.0-liter V8 engine with some new mechanics, like brand-new supercharger, raising the power from 450 horsepower to an impressive 758 horsepower. 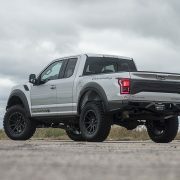 As for performance number, even if this is a beast on wheels, it still manages to sprint from 0 to 100 km/h in a mind-blowing 4.1 seconds, while the 200 km/h range is done in 12.2 seconds. 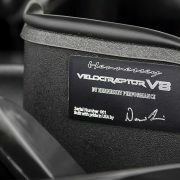 You can find out more details in the media gallery below.